The overall size & quantity of the first waves of Brandywine, Mortgage Lifter & German Yellow tomatoes has been above average; Mrs cohutt has referenced the “early pumpkin harvest” on more than one occasion. 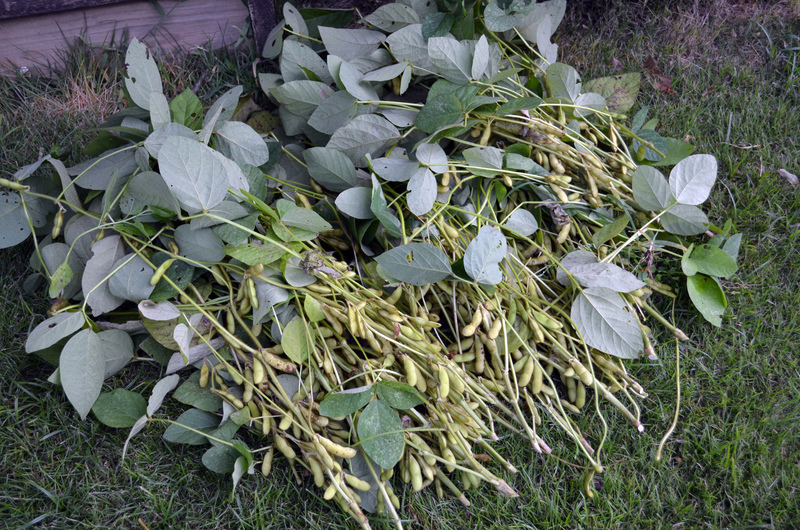 Likewise, the first waves of soy (type “Envy”) have been good and more productive than last year’s initial try. 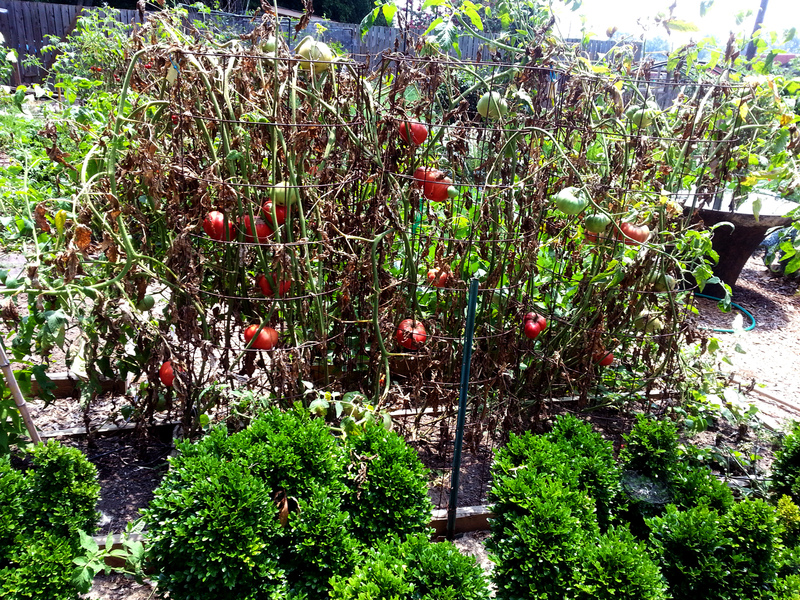 I have a serious tomato plant problem that is probably Fusarium or Verticillium wilt. If I confirm one or both of these is will have a serious impact on the garden over the next few years due to limitations of what can be planted in infected soils. (More on this in a future post, should I manage to figure it out.) Basically the leaves are dying very quickly from the bottom up- right now there are few if any live green leaves in the the first 4 feet of the plants. This has left little shade on the developing fruits so I have a lot of cracks and sun scalding on those tomatoes harvested so far. Unfortunately this will also limit or eliminate the 2nd large harvest wave that usually follows in September. 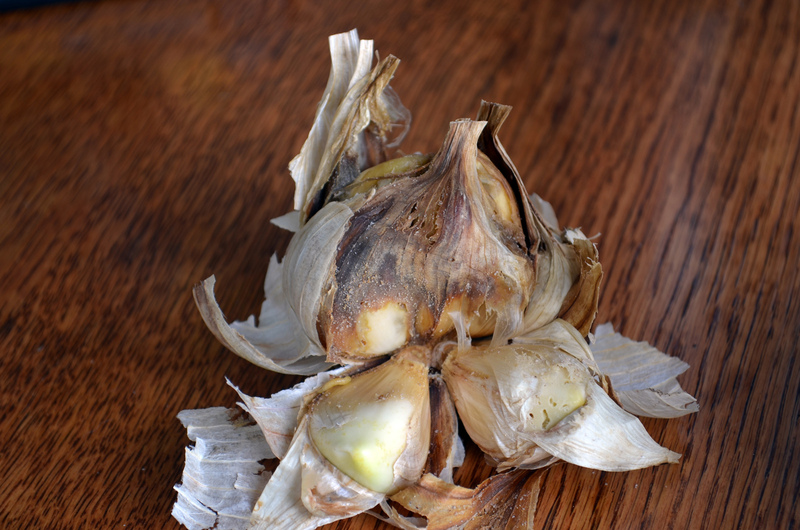 My garlic harvest was hit with onion maggots, which has given me the disgusting aroma of rotting garlic wafting everywhere as I have attempted to cull the infested heads. The worm is pretty much undetectable until the clove or cloves it has been eating tunnels through begins the inevitable hidden festering rot process. 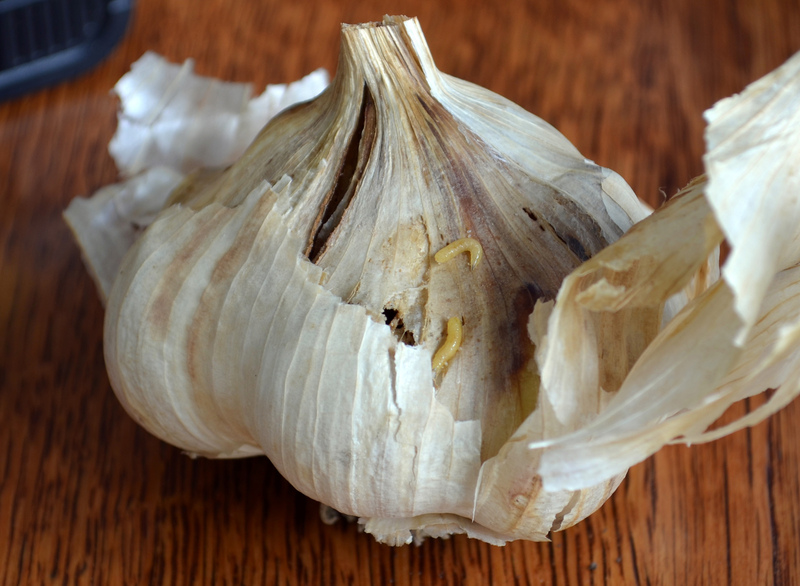 The nose knows first; rotting garlic has a way of letting the whole house know. 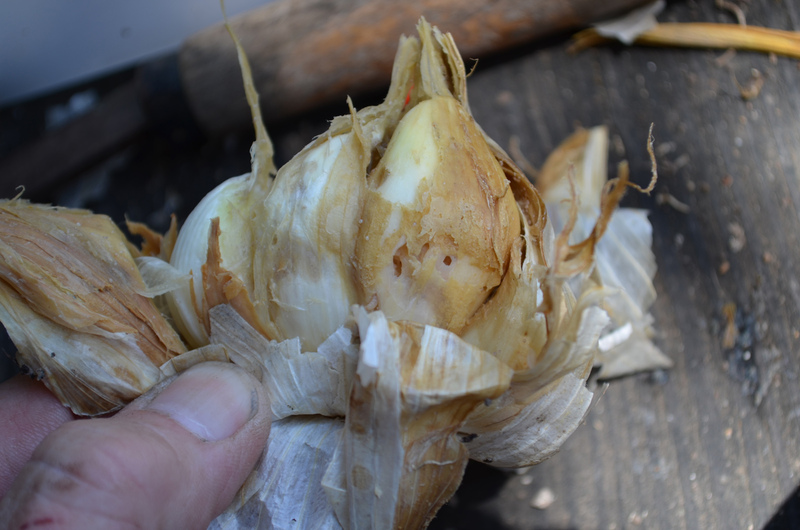 Another example of onion maggot damage (Inchellium Red garlic). I feel for you. Several years ago we had a similar tomato problem. I remember tearing out plants and crying. We make sauce , salsa, ketchup etc. So much hard work too. Non gardeners just don’t understand. Good luck! 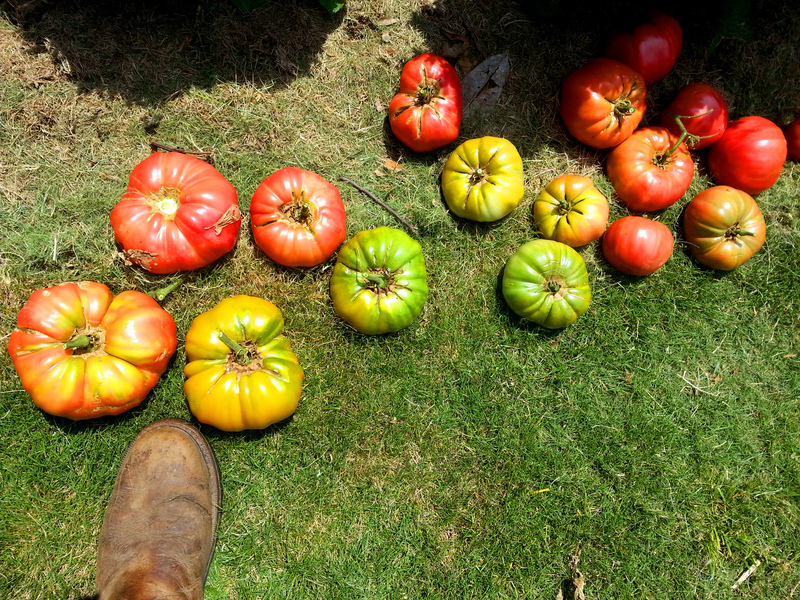 Having that happen to your tomatoes has got to be demoralizing. We harvested our first brandywines and wapsipinicon peaches yesterday. The cherokee purples, indian stripes, russian roses, sweet millions, and sun sugars have been abundant for the last couple of weeks. We are still waiting on the bull hearts and the green zebras. 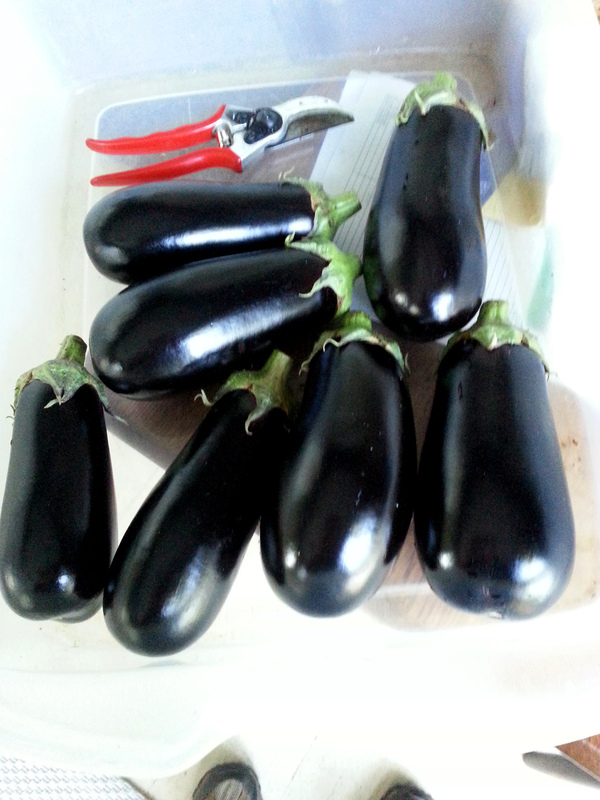 I can’t imagine not being able to plant any next year. I, sadly, feel your pain with the tomatoes- looking at a carbon base to rehab- Mirimichi Green- have a look and let me know your thoughts- appreciated as always!